Rhapsody. 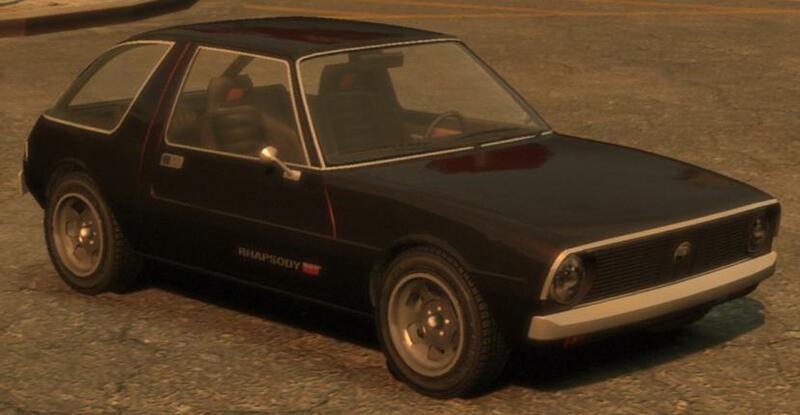 This is the Rhapsody Car, and is also a unique vehicle that آپ can only obtain in Grand Theft Auto IV The Lost And Damned. Wallpaper and background images in the Grand Theft Auto IV The Lost And Damned club tagged: johnny klebitz clay simmons terry thorpe jim fitzgereald billy grey brian jeremy. This Grand Theft Auto IV The Lost And Damned photo contains کوپ and coupe. There might also be پالکی, سلون, سیڈان, گرم, شہوت انگیز راڈ, hot rod, شہوت انگیز چھڑی, کار, آٹو, آٹوموبائل, مشین, کے motorcar, خود کار, and موٹرکر.